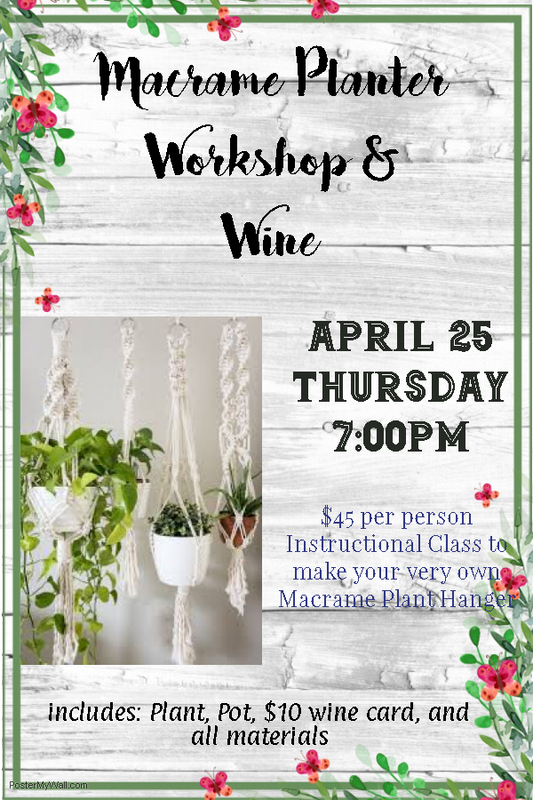 Join us for a night of fun with macrame and wine, We will be hosting a macrame plant hanger on Thursday April 25 at 7pm. 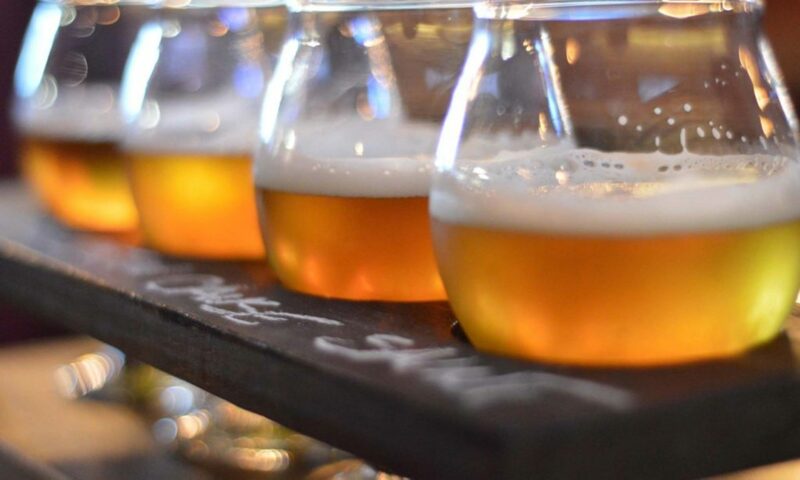 Your ticket will included everything you need to make your very own macrame plant hanger, pot, plant, and wine! All you need to bring is the fun!